Shamrock Holdings, based in Burbank, California, has successfully invested more than $2 billion over the past two decades, leading and actively partnering in both domestic and international private equity and real estate transactions. Founded in 1978, Shamrock is the advisor to a distinguished family – the Roy E. Disney family. 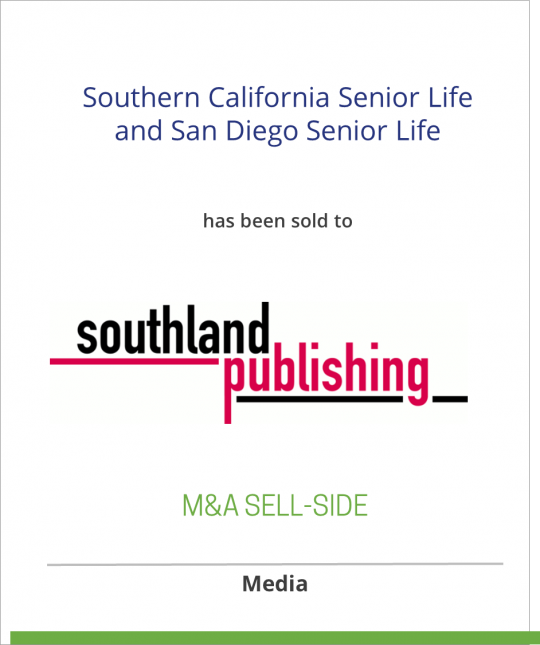 Southland Publishing publishes five weekly newspapers in the Los Angeles/San Diego area with a combined circulation of 215,000, reaching 1.3 million readers: Ventura County Reporter, Pasadena Weekly, Los Angeles ValleyBEAT, Los Angeles CityBEAT, and San Diego CityBEAT.